Since 2011, the year of its creation in Monaco, IMEDD (Mediterranean Institute for Market and Opinion Research about Sustainable Development) commits to Corporate Social Responsibility whose final goal is to fight against CO2 emissions and Climate Change. 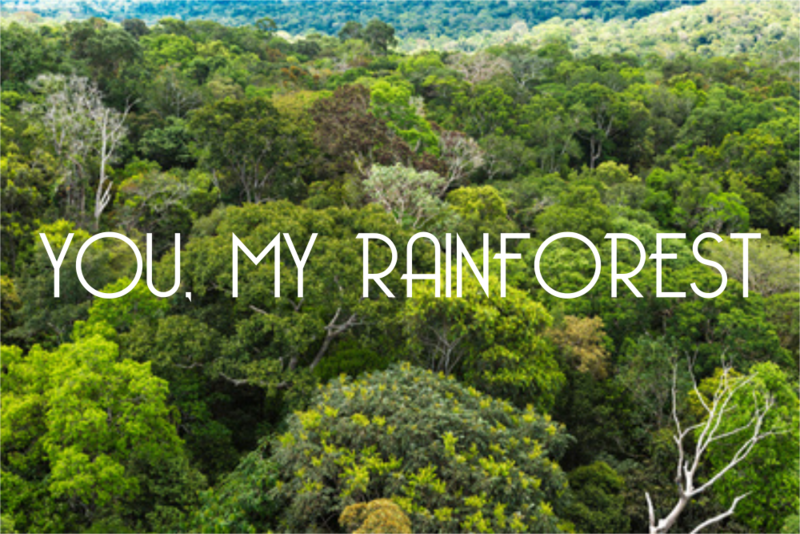 One tool that we use is monitoring the CO2 emissions to decrease them the more that we can. Recently, IMEDD took part in a business trip at Musikmesse in Frankfurt in Germany to raise the music industry’s awareness about environment and sustainable development and about the power of music, especially thanks to song writing for the earth. This travel has led IMEDD to produce CO2 emissions due to the transports between Italy, Monaco, France, Belgium and Germany. Even if some sustainable mobility measures were taken, this business trip had an environmental impact. Let’s go back to the original story of IMEDD, back in 2012, when its founder, Virginie Lelarge, with the support of international organizations committed to sustainable mobility or low carbon transports, created the logo “On the Move From Monaco To The World” which goal is to empower businesses and people to master and reduce their CO2 emissions, with the final aim of not producing CO2 or being carbon neutral (compensating the impact due to transports). 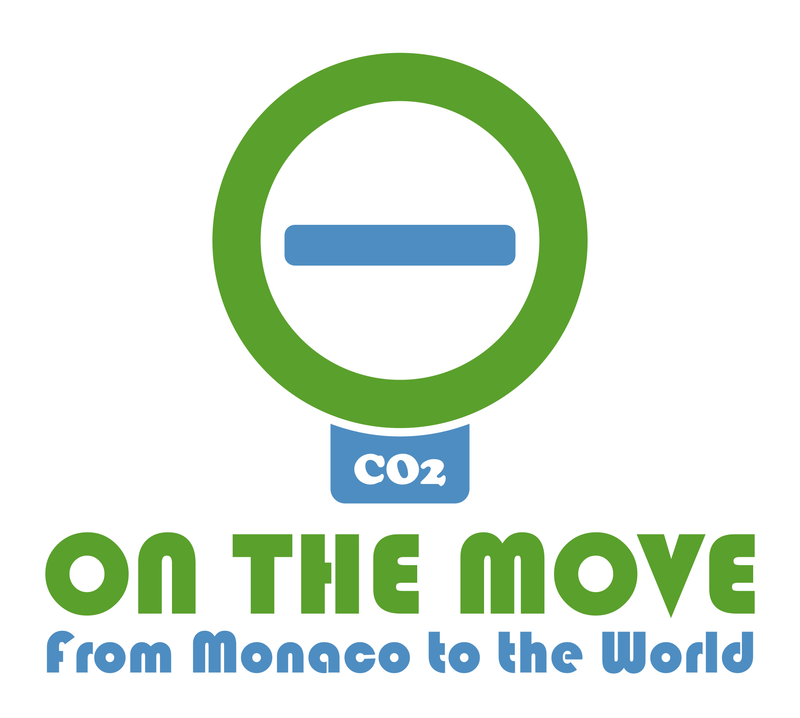 The logo “On the Move From Monaco To The World” is an ambition for all cities, businesses, organizations and people who want to commit to reduce their CO2 emissions and prefer solutions that can low carbon on the earth. As said, this logo is an ambition that started in our time and goes on for future. 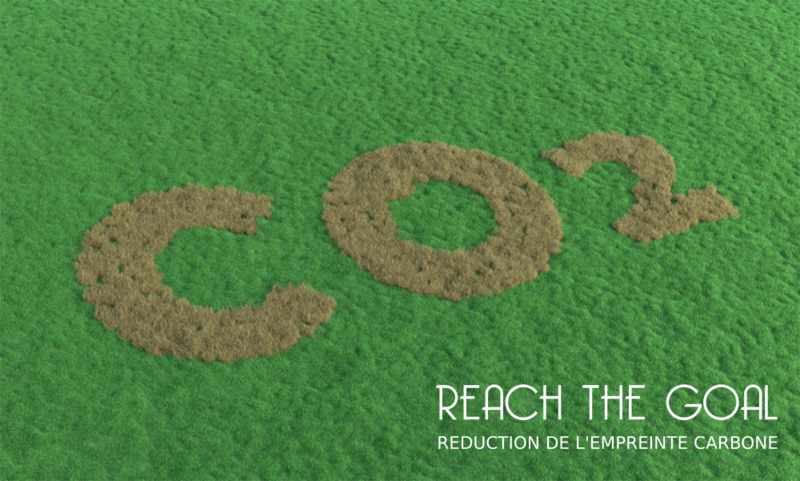 It’s a recognition sign sent from Monaco to the World saying that CO2 emissions need to be reduced. In the business part of its activities, IMEDD has conducted since 2015 in Monaco and at International some CO2 assessments for big companies that had a major impact in terms of transport following the goal to decrease their CO2 emissions. Those companies, as well as the French Agency for Monitoring Environment and Energy (The Ademe, a leading European actor in terms of researches), helped IMEDD, as a specialist of researches, to design a model of CO2 analysis that could be mostly applied for any kind of businesses in terms of methods. 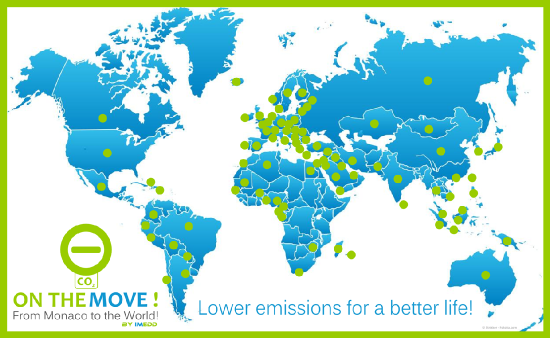 Since 2015, several organizations took part in IMEDD’s CO2 evaluation process, they were able to have a global vision on their CO2 impact and take decisions in terms of internal training for their employees, or in transport strategies, or in transport solutions, or in information, or in federating their shareholders… By committing to CO2 evaluations, organizations provide themselves with a vision of the impact they have, then they can think and implement solutions to reduce there impact and even compensate it taking smart measures. 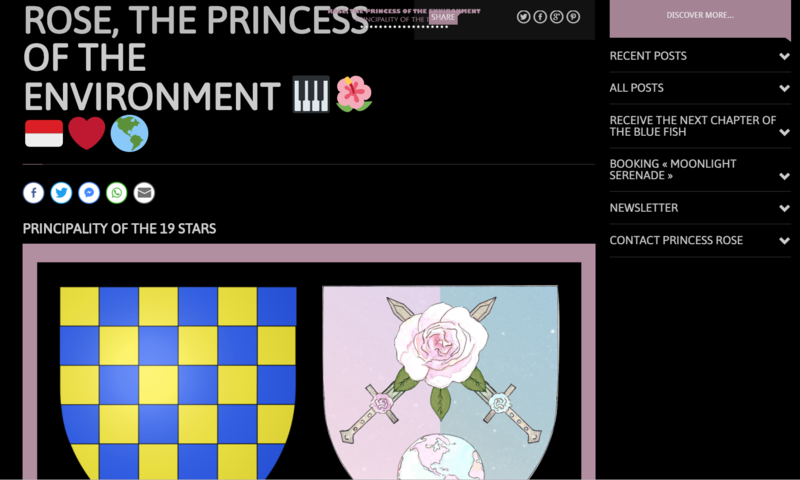 Considering those two big commitments carried by IMEDD, first the one of encouraging organizations to a low carbon economy, second the one of helping organizations to design their CO2 evaluation and strategies of mastering, IMEDD decided to apply its own methods for the musical and environmental federation project “Rose, The Princess of The Environment”, whose goal is on one side to do music for the earth and on the other side, present virtuous solutions to do positive actions to fight against CO2. Applying the same model of CO2 analysis than in other businesses, IMEDD shares the results of the research on its CO2 impact for the business and music trip of “Rose, The Princess of The Environment” at Musikmesse in Frankfurt in Germany. From door to door: 2024 km. Sustainable Mobility: preferred when possible (2 criteria: availability of sustainable means of transport and responding to the needs of the business trip and its efficiency). Several means of transport combined: car, regional train, bus, taxi, plane. Means of Compensation of the CO2 Impact: Prince Albert II of Monaco: Operation “Trees for Water” from the NGO “Grow Trees”. The number of 270 kg of CO2 produced for the needs of the project “Rose, The Princess of The Environment” at Musikmesse in Frankfurt in Germany, was calculated regarding each travel, each means of transport used, each distance, each energy used by the means of transport and the rate of CO2. The number of 270 kg of CO2 is the global addition of each individual transports (14 combined transports used at total and the global carbon footprint is mostly due to the use of planes). Doing this kind of analysis gives a first view and a possibility to act by implementing actions that can help master the CO2 emissions, and even the costs of transport for the next travels to come. It shows to people that when a business trip is made, it has an impact in terms of CO2 and that reforestation projects (planting trees) are a good tool to immediately compensate the impact carbon. One is about giving money to organizations considering an average price defined for the ton of CO2. IMEDD made the calculation and as countries made an accord on a very low price for the ton of CO2, it would mean that in terms of trees, IMEDD should plant 2 trees for the compensation of the trip, which is not at all the reality of facts. The other one is about considering a CO2 impact regarding the CO2 capacity of absorption of a tree per year. In this calculation, IMEDD needs to plant 11 trees for the compensation of the trip, which is the reality of facts, regarding its CO2 production. 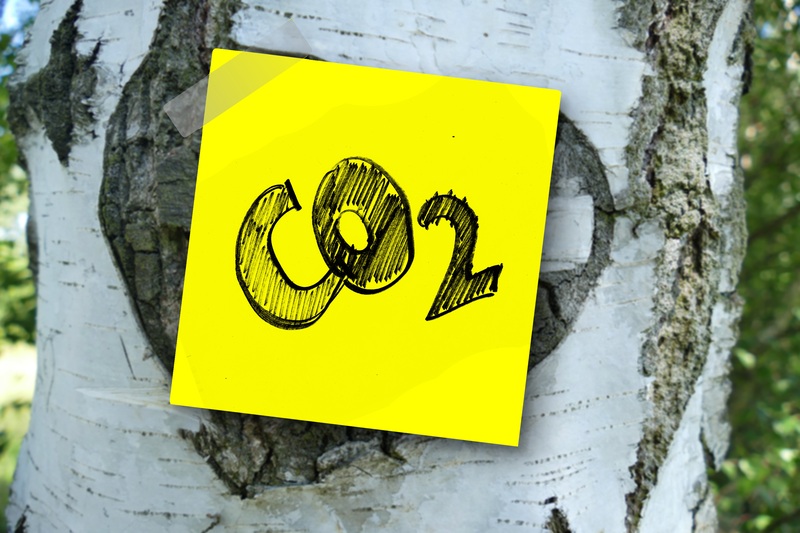 With this small example, IMEDD wants to show that the best system ever to master CO2 emissions is using the natural power of nature with the trees that can capture CO2. Therefore, IMEDD will use the system of tree planting to compensate its emissions and plant 11 new trees in India. It is an action related to nature, the fact of planting new trees gives a job to people, opportunity to educate children and families. IMEDD works beside the Prince Albert II of Monaco, Monaco’s Government and the Monaco NGO MC2D to encourage businesses and public organizations to fight against deforestation. The Prince Albert II of Monaco Foundation was created in June 2006 by H.S.H Prince Albert II of Monaco to address our planet’s alarming environmental situation. The Prince Albert II of Monaco Foundation is dedicated to the protection of the environment and the promotion of sustainable development on a global scale. The Foundation supports initiatives of public and private organizations, in the fields of research and studies, technological innovation and socially-aware practices. The Foundation supports projects in three main geographical zones and focuses its efforts focus on three main areas. To establish partnerships in order to carry out projects and implement concrete activities in the Foundation priority areas. To raise both the public’s and the authorities’ awareness of the impact of human activities on the natural environment and encourage more environmentally-friendly behaviours. Grow Trees is a NGO specialized in planting trees. They are supported by UNEP, Plant for the Planet and WWF. In India, Grow Trees develops a programme to plant trees in the region of Narmada River in the region of Harda to Madhya Pradesh, one of seven sacred rivers whose course is strewn with magnificent waterfalls. In this region of India, water runoff causes soil erosion and the territories of some local populations are threatened. “Trees for Water” is a reforestation campaign (the goal is to plant 50,000 trees) to encourage the production of humus to enrich the soil. On the other hand, another goal is to filter water and feed groundwater to limit water runoff and therefore erosion. Planting these 50,000 trees will create habitat for local wildlife. Finally, these trees will help capture CO2 emissions to the atmosphere and release oxygen. It is important to remember that fighting climate change is based on two major spaces that must be preserved to capture CO2: forests and oceans. The « Trees for Water » project, carried out in association with the Prince Albert II Foundation of Monaco, is easy to access for anyone wishing to join in the process since a donation of 5 euros allows the planting of a tree. In addition to the environmental aspects of « Trees for Water », this project has a real social and economic component, since over 4000 hours of work by local people are needed to plant the 50,000 trees.